When locating utilities, accuracy is everything. More accuracy means less risk. 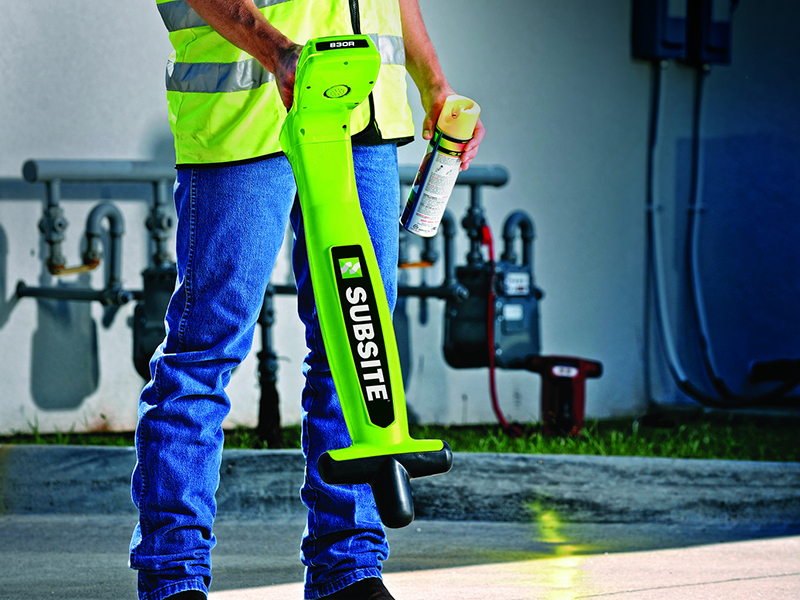 So we packed the Subsite Electronics UtiliGuard® multi-frequency locator with accuracy-enhancing features, highlighted by AIM® (Ambient Interference Measurement) technology, which automatically recommends the best frequency. UtiliGuard also has a 12-watt transmitter that sends signals farther, an easier-to-read display and many other features you won’t find on any other locating system. Only UtiliGuard. 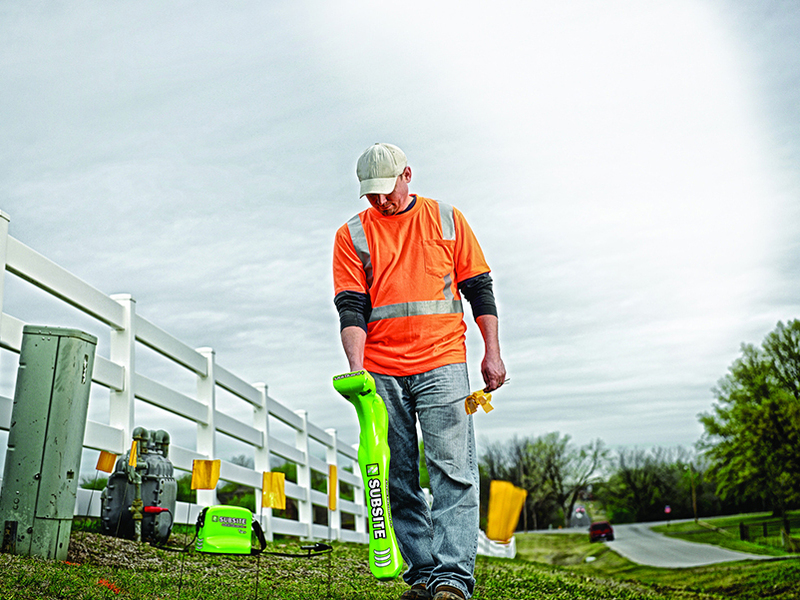 AIM™ scans the surrounding area for noise and recommends the best frequencies for the fastest, most accurate locates. 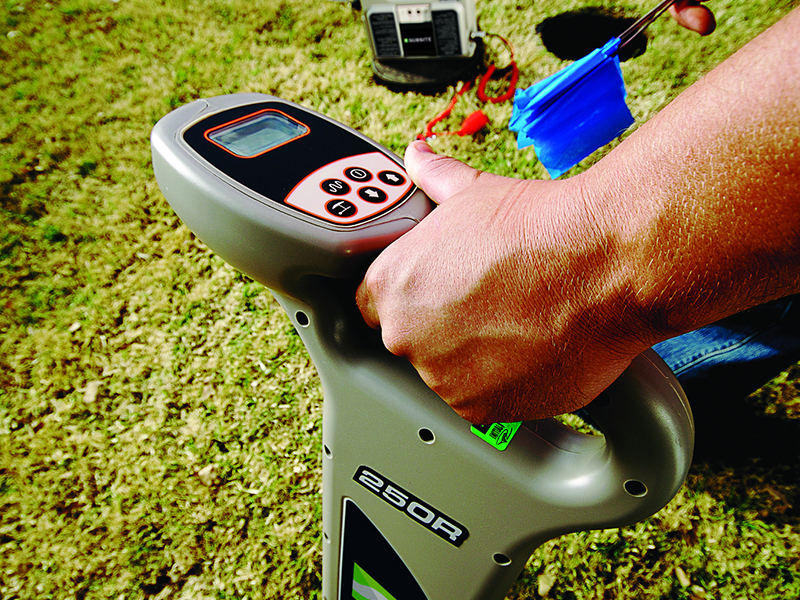 The only locating system that provides the horizontal and vertical distance (depth) to the utility, to enable users to make accurate locates of obstructed utilities. Ruggedly built UtiliGuard has an industry-best IP65 rating, to ensure excellent performance in dusty, dirty or wet jobsite conditions. Superior battery life—transmitter 100 hours, receiver 30 hours—is more than twice as long as the competition’s. UtiliGuard is direction enabled, i.e., provides the direction of the current to help you identify the target line.